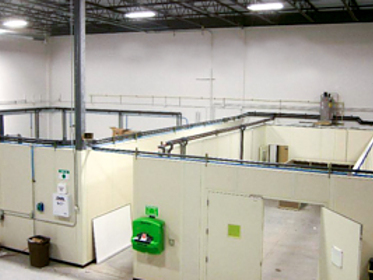 Any area where lasers are used needs to be partitioned from the rest of a facility for safety reasons. 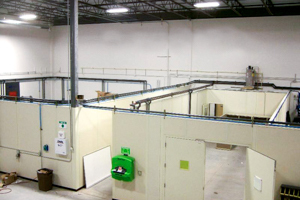 However, sometimes building fully enclosed laser rooms is not an economical decision because it means rerouting HVAC duct work and running new electricity. 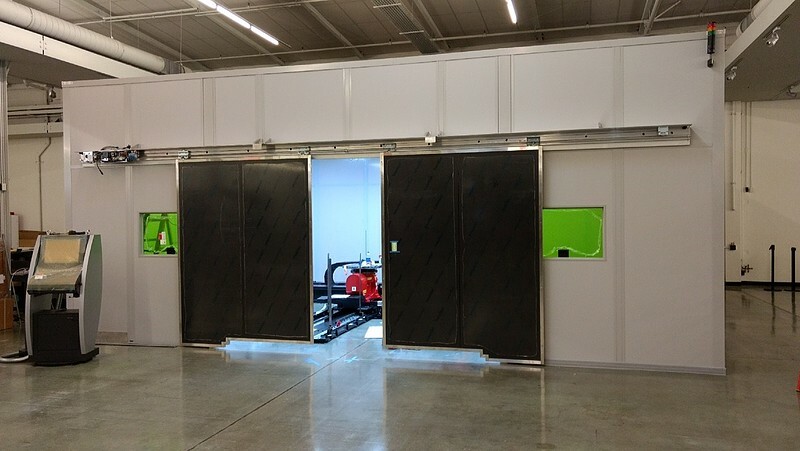 Laser enclosures can also be made with industrial wall partitions. The partitions meet the industry's standard 5lbs per lateral load for walls over 60 inches. Integrating with the OmniFlex wall system, the steel free standing wall supports can be installed virtually anywhere without needing to integrate with a load bearing wall. 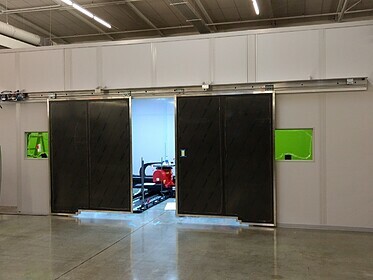 And the wall partitions can be customized with almost any panel type to help meet the standards needed for the specific laser enclosure.